We love taking photos and videos. As our smartphones don’t come with unlimited storage options or high storage options to take backup of photos and videos we take, it is necessary to get an online cloud storage service to upload all our precious collections. The Apps and Cloud Storage services we suggest you today also excellent choice for Professional Photographers and Designers. Google, Yahoo, Dropbox and other leading cloud storage service providers are fighting non stop to provide quality service to attract more users for their services. 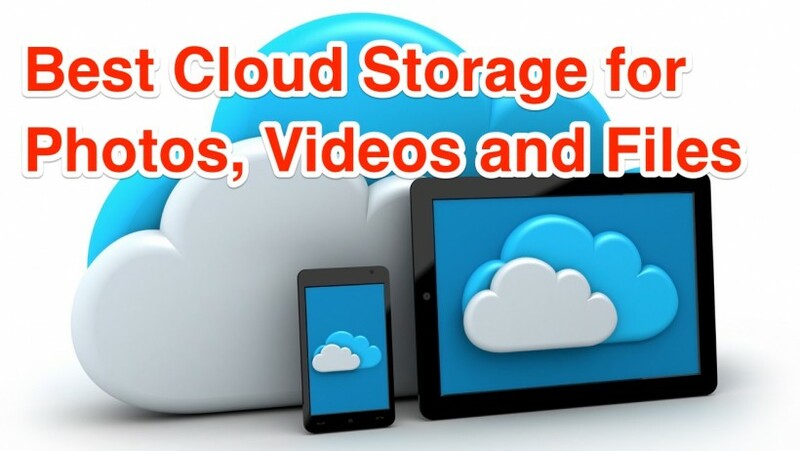 There are several online cloud storage services available, that lets you upload and backup your Photos and Videos safely to Cloud Storage, and you can upload from your iPhone, iPad or Android smartphone easily in minutes. Share iPhone Photo album by installing the apps and services that we suggest you here today. 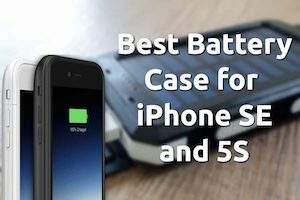 We hand picked few best photo cloud storage for iPhone, iPad and Android smartphones to make your life a lot easier in protecting and saving your favorite memories. Download and install these cloud photo storage apps from App Store, Google Play Store on your smartphone and start uploading Photos and Videos. Other than regular cloud storage services, Photos and Video specific cloud storage services lets you preview the photos before Sharing, Downloading or taking full control over the Privacy settings of the photos you upload is what i kept in mind while selecting the following apps. Ease of use, good amount of storage limit, High quality and RAW photo storage options are also my top priority, and without any further delay, lets see the list of apps for Photo Upload on iPhone, iPad and Android smartphones. Also Read, How to Sync and Connect Multiple Cloud Storage Services? The new rockstar in town with free and unlimited cloud storage option for all your High Quality Photos and Videos. Google Photos is a standalone app available for iPhone, iPad and Android at their respective app stores. Google Photos Desktop Uploader allows you to upload Photos and Videos from your Mac or Windows PC. Go to Apps section of Google Photos and download the app for your iOS, Android and Desktops. Google has detached its Photos section from Google+ recently and made it as a standalone app that looks fresh and very useful for everyone. No matter what operating system or device you use, you can access Photos.google.com and upload your Photos to Google Cloud Storage under your account. 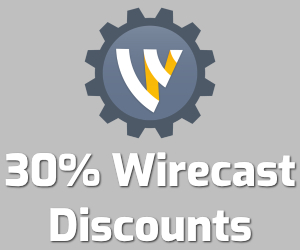 You get unlimited, Free Cloud Storage to store all your HD Videos and High Quality Photos. If you want to store RAW images without letting Google to optimize the image with its compression techniques, then you can choose that from Photos Settings section. All your photos in one place and with Google’s easy to organize and automatic face and object detection, Google Photos is a clear winner and will be your favorite Photo uploading app as well. Also Read, How to Upgrade your Gmail or Google Drive Storage Limit? Oh, about the privacy settings of the Photos, Videos you upload, they all set to Private mode by default. Only you can access when it is automatically uploaded to your Photos account from your iPhone, iPad or Android Devices. You have to change the permission manually to the album or photos specifically to share it with your family, friends and world. 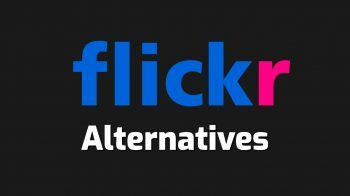 Flickr Photo Sharing service from Yahoo is the paradise for Photographers. It is very friendly Photo Hosting and Sharing service for Photographers. Flickr has huge library of Photos and you can define the permissions, licenses and access complete technical specification of photos. Flickr is the leader in Photo Sharing service but they were lagging Flickr App friendly for iPhone, iPad and Android platforms. Very Recently Flickr has launched its Flickr for iPhone, iPad and Android platforms. They redesigned, refreshed and gave excellent UI, easy to use friendly interface to Flickr App across mobile platforms. Flickr Uploadr for Mac OS X also got a big design change and feature additions that makes it super easy to upload Photos and Videos right from your Desktop. Create Albums, setup Privacy Settings to share it with your Friends, Family and Public via Photostream. Your uploaded Photos will look great and easy to organize with Flickr. Every Flickr account user gets 1 TB (Terabyte) of Free Storage option, to store huge collection of photos and videos. Flickr is not great for Video upload and sharing. Shoebox is a newly launched Free Photo Backup service with Unlimited Free Cloud Storage option for all your devices. Couch Labs Inc owns Shoebox that is Free for everyone and with their $5 a month PRO account you get to upload RAW Photo and Video without any compression. You can upload Photos automatically to your Shoebox account, organize them, share it with your friends and family with its beautifully looking Album and Photo interface. Shoebox Timeline allows you to easily organize and manage all the photos you have uploaded to your account from your device. 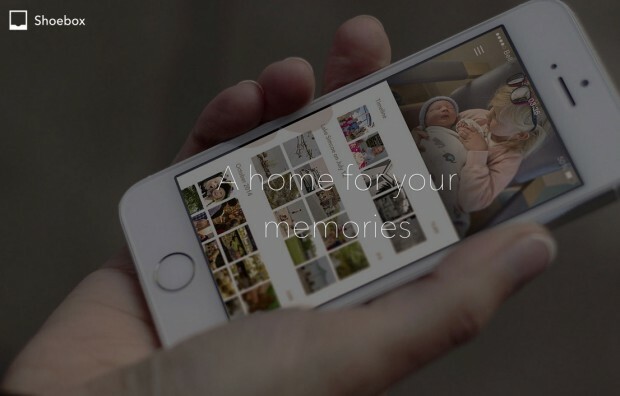 All your memories are safe and secure with Shoebox Secure Cloud Storage. Shoebox enables high level military grade encryption to every single Photo you upload to their Cloud servers. Shoebox iPhone, iPad and Android Apps has super clean UI and Design to let you navigate, browse through and organize all your photo uploads. You can download and install Shoebox App on your iPhone, iPad, Android Smartphone, Tablet, Windows PC and Mac computers as well. Dropbox needs no introduction, and they are fine tuning their Web App and Mobile Apps to attract more mobile users and desktop users these days. Dropbox is the best cloud storage available for anyone who is looking for Premium service to store their Photos, Videos, Documents and any Files in Cloud Storage. Dropbox is widely available on all operating systems, Mobile OS platforms and very easy to use as well. You can easily setup dropbox and collaborate with your team inside your company or organization. Dropbox is also good for Photos, and their Photo Viewer lets you view photos in high quality and easy to organize in folders as well. There is always a copy of the photo stored locally in your computer hard drive. Dropbox App is available for iPhone, iPad, Android Smartphones, Tablets, Windows and Mac OS X with auto sync and auto upload feature. Share the file or album with your friends, family and public users with one mouse click. The one down side for Dropbox is, it comes with 2GB of storage for Free account and for 1TB you have to pay $9.99 a month. Business users who need unlimited storage have to pay $15 per user per month. Which also brings more Premium features to each dropbox account. Zoolz Cloud Storage Backup solution provides a complete backup requirements for Business users. Not just Photos, Videos and Documents, you can store any file types securely to your Zoolz Cloud Storage account and access them anywhere, anytime from your iPhone, iPad or Android devices. Zoolz Tribid Backup is a next generation backup technology that introduces Instant, Cold and Local Storage backup option to Zoolz users. Unlimited Cloud Storage servers with $30 a month, brings complete premium service to users. You should prefer Zoolz only if you need a complete backup solution for all your files and data. Even though you delete a file from your local hard drive, Zoolz maintains a copy of it in your Zoolz Cloud Storage account as each account gets unlimited servers and storage. Zoolz Software lets you configure and setup Policy for each files, documents you upload. Enterprise level Maps, Geo Location data and more premium features to monitor every file access and storage details at one place. Read our detailed Zoolz Review which will help you decide to choose the perfect Cloud Backup Storage for your Home and Business. There are other Photo Upload Service available for iPhone, iPad and Android such as 500px.com, imgur.com and Photobucket.com. If you are searching for multi file type upload service, then consider choosing Cloud Storage and Backup services like Zoolz, Bitcasa.com, Microsoft OneDrive, Mega.co.nz or Google Drive. You will get 15GB storage initially with your Google Drive, but it is always worth to increase it for yearly fee with Google Drive. Sync all your files using Cloud Storage and Backup services at one place, to access them, edit or modify and collaborate with your team mates from any device, any where. Download Cloud Storage Apps that we have suggested above and don’t forget to tell us, which app you have selected and became your favorite. If you are already using any of the above suggested cloud storage, photo backup app or service and happy with it, or any app that we missed here, do tell us about them in the comment box below. Your inputs will be a great help for other readers who read this article. Thank you very much for your patience and considering our suggestion. Feel free to share this post with your friends and followers across Facebook, Twitter and Google+. Have a wonderful productive day.